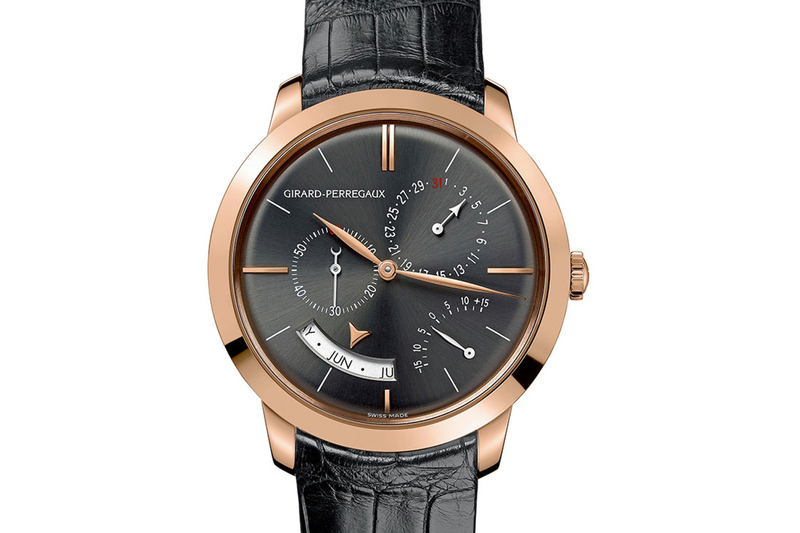 Originally introduced in 2009, Girard-Perregaux will announce a new rose gold and ruthenium version of the 1966 Annual Calendar and Equation of Time at SIHH 2012. The Annual Calendar and Equation of Time comes in a 40 mm diameter by 10.72 mm thick rose gold case. Functions include hours, minutes, small seconds, annual calendar and equation of time. The annual calendar complication displays the date (at 2 o’clock) and month (at 7 o’clock) and must be corrected only once per year (February). The equation of time complication calculates the difference between apparent solar time and solar mean time, indicated by a retrograde display between 4 and 5 o’clock. The length of a solar day varies daily, due to the elliptical shape of the Earth’s orbit. This astronomical complication is based on a mechanism incorporating an annual disc with an elliptical cam that reproduces the Earth’s movement around the Sun. The grey ruthenium dial has a subtle sunray-brush, a perfect combination with the pink gold of the case. Pink gold applied hour markers, leaf-shaped hands, GP logo painted in white. 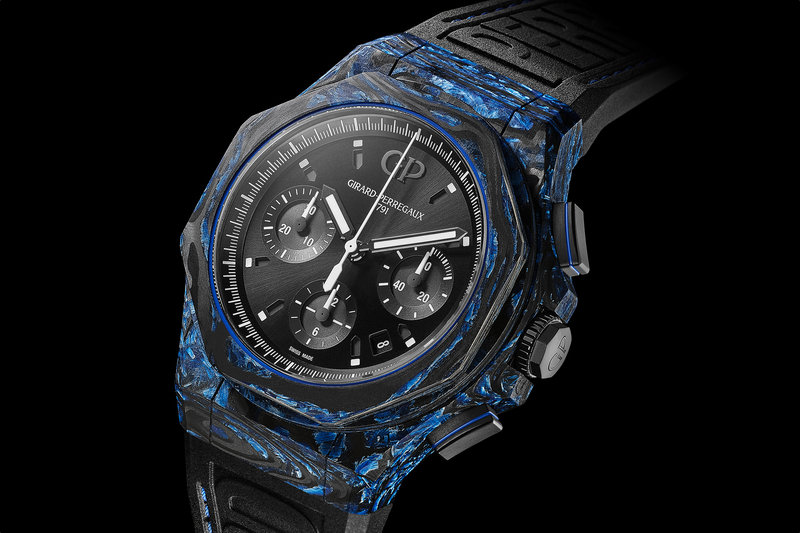 The Girard-Perregaux in-house automatic movement, caliber GP 033M0 is made of 287 components, 44 jewels, runs at 28,800 vph (4 Hz) and has a power reserve 46-hours. GP in-house developed Microvar inertia balance wheel (pictured). It has six (7.18 mm) adjustable gold regulating balance screws and two inertia-blocks on its rim, used to set the equilibrium and enable fine adjustment of the movement, thus enhancing the precision of the timepiece during adjustment. 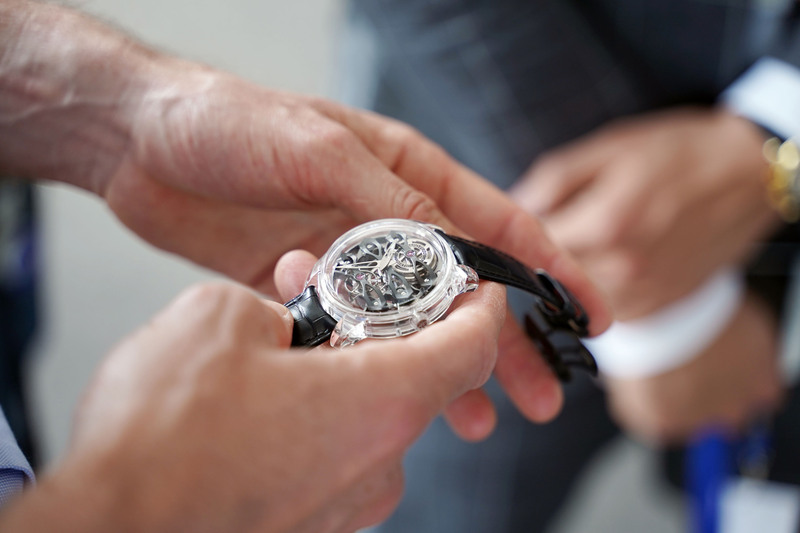 Hand-finishing of movement includes a rhodium-plated main plate with circular-graining above and below, diamond-cut facets. The barrel has snailing on the cover and sunray-brushing on the underside. 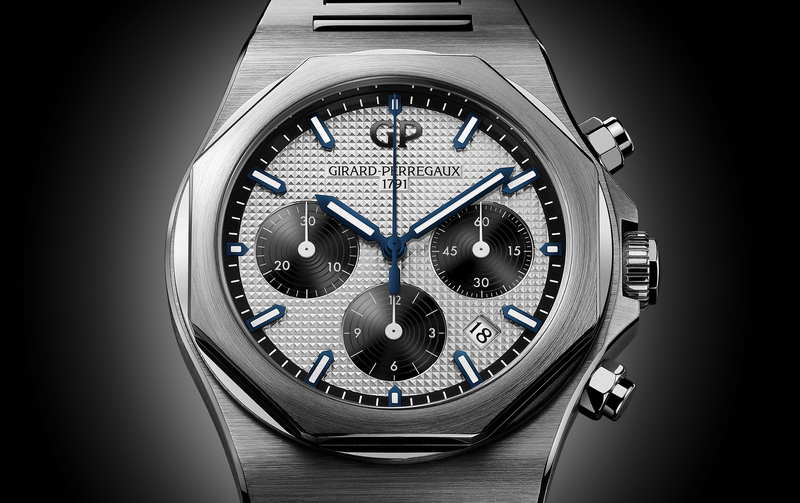 The gear train bridge is polished with diamond-cut facets, circular-grained on the underside, drawn sides, diamond-cut recesses, Côtes de Genève and “Girard-Perregaux eagle” engraving. The oscillating weight is pink gold with circular Côtes de Genève. Gear-train has gilded 2N18 wheels, burnished pivots, circular-grained sides. The stunning new dial and pink gold case combination should make an already popular timepiece, that much more appealing.